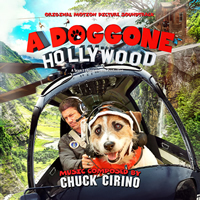 Dragon’s Domain Records, to be distributed through buysoundtrax.com presents the original motion picture soundtrack for A DOGGONE HOLLYWOOD, featuring music composed by Chuck Cirino for the 2017 children’s adventure film directed by Jim Wynorski, written by J. Brad Wilke, Josh Holt and Jim Wynorski, starring Paul Logan, Cynthia Rothrock, Jaret Sacrey, Walker Mintz, Dilan Patton, Jonathan Tysor, Jayden Hedden, Jolie Ledford, Zachary Cirino, Cindy Lucas, Corey Landis, Michael Gaglio, Lauren Parkinson, Shadoe Stevens, Michael Paré and Just Jesse The Jack as Murphy and the voicework of Steve Altman. A DOGGONE HOLLYWOOD continues the longtime collaboration between filmmaker Jim Wynorski and composer Chuck Cirino, which includes films such as CHOPPING MALL, DEATHSTALKER II, NOT OF THIS EARTH, TRANSYLVANIA TWIST, RETURN OF SWAMP THING and A DOGGONE CHRISTMAS. In A DOGGONE HOLLYWOOD, Murphy (Just Jesse The Jack) returns for another adventure following A DOGGONE CHRISTMAS! This time, he is a famous canine TV star from a weekly series, DOGGIE 911, who can’t seem to get a fair shake from his human bosses. On set one day, Murphy gets the chance of a lifetime when some of his preteen fans hack into his limousine and set him free. Murphy finds loving shelter in the the home of Peter and Sydney, something he’d never known as a superstar. Meanwhile, the studio boss has offered a large reward for his safe return, which sets the local sheriff and some unscrupulous ‘agency’ men in pursuit of everybody’s favorite ‘canine cash machine’! But the kids are craftier than the adults bargained for and a great chase ensues through the countryside, down a zip-line and across a railroad to catch Murphy and bring him back to the studio. Can the kids teach Murphy’s greedy bosses that a little love is what their TV star needed all along? Chuck Cirino did not start his career as a composer, but rather as a programmer in Stroudsburg, Pennsylvania for a Public Access cable TV station, where he learned how to create TV shows by himself, without a crew. In his spare time, he experimented with the station’s video equipment and created a series of genre productions that allowed him the opportunity to learn how to incorporate special effects into his work. After relocating to California, Cirino transitioned into directing high-end special effects television commercials. His first work as composer was for the 1980 cult film GYPSY ANGELS, which starred Vanna White and Richard Roundtree. Since then he has scored films for Roger Corman, directed music videos for bands like Earth, Wind & Fire and The Dickies’ KILLER KLOWNS FROM OUTER SPACE, and has recorded over 40 music soundtracks for feature films including SORCERESS, RETURN OF THE SWAMP THING, HARD TO DIE, TRANSYLVANIA TWIST, and many others. Most recently, he has scored THE SEA BEAST, MEGACONDA, CRY OF THE WINGED SERPENT and CAMEL SPIDERS. 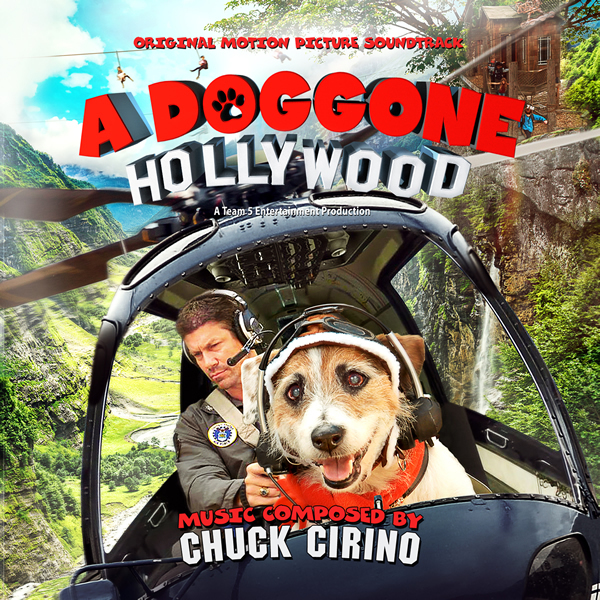 In addition to composing the music for A DOGGONE HOLLWOOD, Chuck is also one of the film’s producers, the cinematographer and the visual effects designer! Chuck has worked as a producer, director, filmmaker, videographer, animator, special effects technician, editor, and composer. He executive produces and directs WEIRD TV, a television series featuring weird Americans, bizarre news, unbelievable events and outlandish skits. Chuck’s credits also include executive producer and director of the Sci Fi Channel projects, WORLDWIDE WEIRD and WARPED IN SPACE, and BABERELLAS, an independent Sci Fi feature distributed by Xenon Pictures.